Only two years after the pre-school was branded ‘inadequate’ by Ofsted, they have now received a positive report. 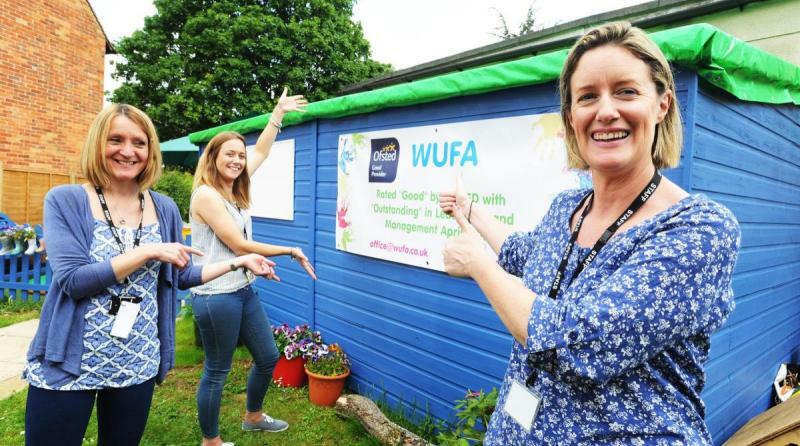 Woodstock Under-Fives Association were given a ‘good’ rating in most areas, with the leadership rated ‘outstanding’ after an inspection in April. Since it was found to be ‘inadequate’ in 2015, new management have put changes in place to see it improve and this has helped change its reputation in the town. Katie Bailey, who manages the charity run pre-school and who took over following the inspection in 2015, says that she and her staff were thrilled with the report. She said: “It’s amazing. It has taken a lot of dedication and I’ve put my life on hold but it has been worth it. I couldn’t be more delighted. The report says how the children ‘engage well and have warm bonds with staff’. The report also states that ‘vast improvements’ were made since the last couple of inspections. In 2015, the pre-school was branded ‘inadequate’ and the year after it achieved ‘requires improvement.’ The 2015 report also said how the management at the time was ‘weak’ and that the quality of teaching was ‘inconsistent’. Ms Bailey said how, after the inspections, morale was at an all-time low and that it was a big challenge to raise the confidence of staff again. To improve the nursery to ‘outstanding’, inspectors said how the staff should encourage the curiosity of the older children further and increase their knowledge of the outside world. The report also said that there should be more done to support the younger children’s understanding of mathematical language.